The only book of its kind, The New Inquisitions is an exhilirating investigation into the intellectual origins of totalitarianism. Arthur Versluis unveils the connections between heretic hunting in the early and medieval Christianity, and the emergence of totalitarianism in the twentieth century. He shows how 'secular' political thinkers in the nineteenth century inaugurated a tradition of defending the Inquisition, and how Inquisition-style heretic-hunting later manifested across the spectrum of twentieth-century totalitarianism. 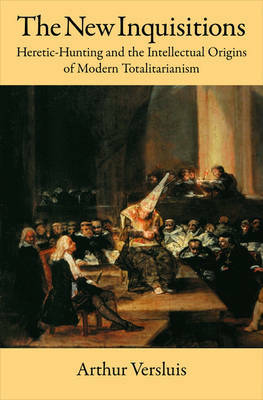 An exceptionally wide-ranging work, The New Inquisitions begins with early Christianity, and traces heretic-hunting as a phenomenon through the middle ages and right into the twentieth century, showing how the same inquisitional modes of thought recur both on the political Left and on the political Right.